We handle the removal of your furniture and personal belongings, from Spain to Mexico. We use maritime containers of 20 or 40 feet of capacity to send the cargo, equivalent to 30 cubic meters and 60 cubic meters. You can use groupage removal modality as well, with the limit of 20 cubic meters of your personal belongings and furniture. The 40 feet containers are ideal for complete floor removals or complete house removals of more than 200 square meters with furniture, home appliances and boxes. We take care of the dismantling of furniture, plastic packing of your furniture, palletizing of the cargo (groupage removal), inventory of your belongings (Packing List), load of your removal. 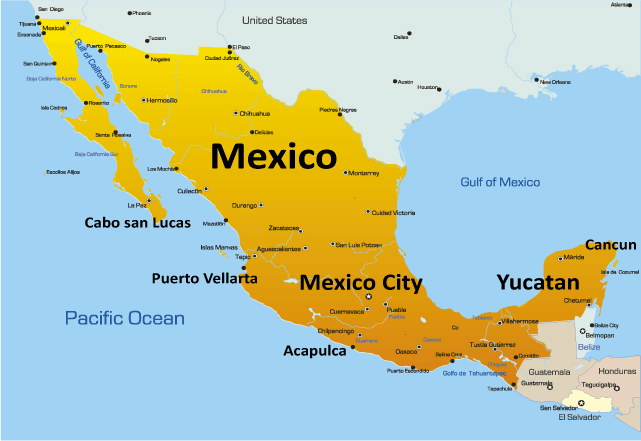 All of our maritime removals to Mexico start from your residence in Spain to the Port of Veracruz. Here in Spain we give you all the legal documentation and legal requirements to carry out your international removal process with no problems. Departures of ships every 10 day with trips lasting approximately 25 days to reach the ports in Mexico. In addition we offer delivery service of your cargo from the port to your residence in Mexican floor.